Heat Pump Services for Kelso, WA 98626 | Air Conditioning | Heating | HVAC | Kelso, WA 98626 | Twin City Service Co. In the event that your heat pump breaks down, you can rest assured that our factory trained technicians can get your system back up and running quickly. Our service technicians are trained to work on all makes and models of heat pumps. Heat pump failures can happen at the worst possible times. We discover them only when we go to turn our system on for the first time when the cold weather starts. When the system is off, there’s no way to tell that it wasn’t functioning properly. Obviously any repair can be a headache, but not all heat pump repairs will break the bank, so it’s important that you talk to a knowledgeable service person about any issues you may be experiencing to quickly diagnose and solve the problem. Our technicians are highly trained and able to work on any heat pump. Regardless of the age of your system or who originally installed it, we can take care of any issues that may come up. Most people don’t realize there’s a problem with their system until they go to use it for the first time in the cold winter weather. It’s times like these when you’ll need experienced technicians to get the job done fast. Our service technicians check your system for wear and tear and inspect the wiring and fluids so it is ready when the weather calls for it. 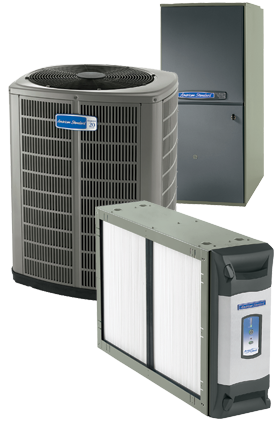 Call to have our professional staff schedule a tune-up on your heat pump.